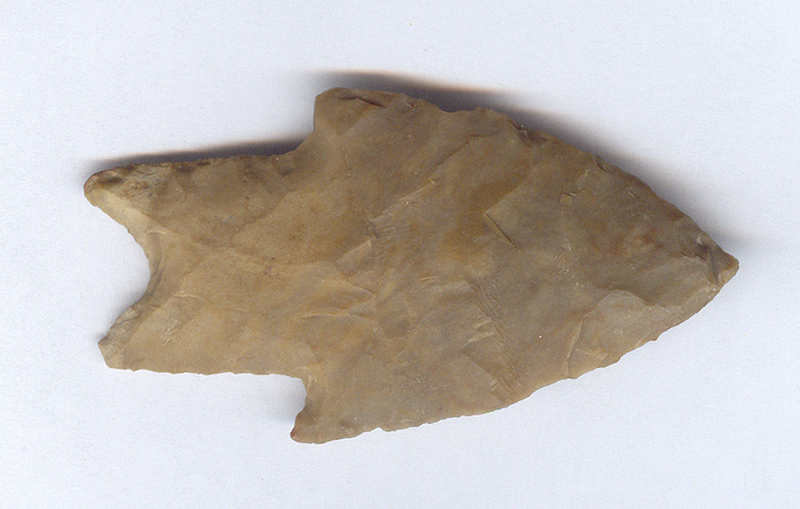 A Medium Size, Well Made, Pedernales Point That Exhibits Surface Coloration And Stone Aging Patina, Aging At The Basal Stem Tang Notches, Aged Soil Deposits, Correct Style Flaking, Mineral Deposits, Polished Blade Use Wear, Correct Type Blade Sharpening Reduction, Correct Material And Manufacture For The Area Found. Ex-Paul Hughes Collection. Several Blade Use Sharpening Has Reduced The Length And Width. Includes A Ken Partain Certificate Of Authenticity!